No writer worth his sodium chloride would claim great writers are born great writers. For one, the wording is redundant and we writers are cautioned against stuff like that. For another, even the music prodigy has to practice her scales. In addition to reading in a general way (or as Faulkner advised: “Read, read, read. Read everything.”) so too the writer needs to read books about the craft. Just as the physics major doesn’t opt out of his math classes, neither should the aspiring novelist disregard instructional books on the mechanics of composition or what constitutes an engaging story. 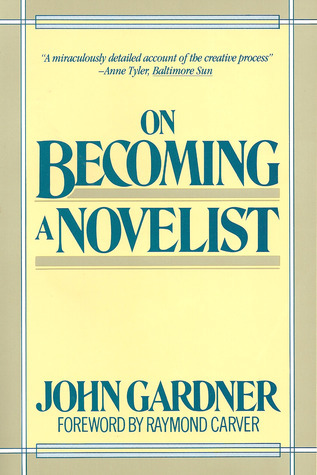 John Gardner’s book On Becoming a Novelist offers an astounding analysis of the writing process. His teaching experience is vast and authoritative, and he provides exceptional advice and genuine concern for the aspiring novelist. For those who insist the proof of the pudding is in the eating, one of Gardner’s tasty treats is a short novel called Grendel. It’s essentially the story of Beowulf from the monster’s perspective. Compelling, masterful, and a stroke of genius are all clichés now. But they’re applicable here. I couldn’t put it down. One of my favorites. 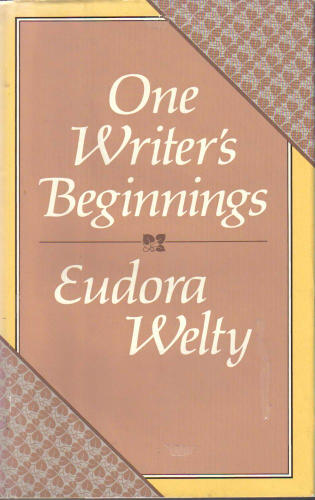 One Writer's Beginnings by Eudora Welty is a wonderful book, broken into three parts, each originally a lecture she delivered at Harvard University back in 1983. She had to have been in her 70s at the time, and her wisdom and insight are priceless. Her recollections growing up in Jackson, Mississippi reminded me in some ways of Ray Bradbury’s Dandelion Wine. Both books are essentially devoid of any real plot and each imposes a sort of nostalgia on the reader who’s never even been to those places described. Or maybe I just have a weakness for craftily rendered reminiscing. In Bradbury's case, Green Town is fictional, after all, so we couldn’t possibly have been there, though it's based on his home town of Waukegan, Illinois. Either way, as I’ve mentioned many times in my blog, I can be drawn in by good writing just as easily as others might be gripped by a high-octane thriller. I’m sure it’s safe to assume that like Welty, most if not all writers’ childhoods and families, both the good and the grim, influence their work. People in our lives often inform our inventions of fictional characters in our stories, the stories themselves, and so on. But Welty’s recollections give voice to this truth in a tenderly rendered way. If you enjoy reading, you’ll enjoy this book, even if you’re not a writer. But if you are a writer, there’s much to learn from this woman. She’s generous with her rich experience and knowledge. The frame through which I viewed the world changed too, with time. Greater than scene, I came to see, is situation. Greater than situation is implication. Greater than all these is a single, entire human being, who will never be confined in any frame. 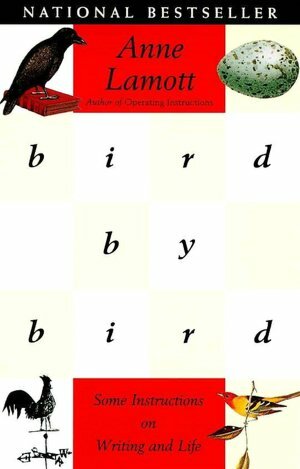 Bird by Bird, by Anne Lamott, is a reality check for those of us who often get the foolhardy idea that being published is like winning the gold and that writing is the necessary tedium required. Anne asks us to remember why we write in the first place – because we enjoy and value the process itself rather than publication. I’d say this is especially true when you consider the likelihood of getting published in the first place, not to mention the necessary steps that follow if you do: who’ll know about your book if you don’t promote it? Will your publisher devote anything to advertising a first work by an unknown writer? The self publishing industry is growing, but your book’s success still rests with your persistence, promotional technique, and luck. Some writers grow frustrated with how their advertising efforts cut into the time they could spend writing. And even the most famous authors make a pittance compared to other professions, unless of course you’re like Stephen King, Scott Turow, Michael Crichton, John Grisham or a handful of others who’ve sold rights to their novels to have them made into movies. Lamott is also an amusing, quirky writer, and offers lots of personal anecdotes about her own journey in the writing field. She does place a higher value on fiction that concerns itself with truth over transience, meaning she seems to care little about producing publishable fiction for the sole purpose of financial success. This might explain why she stresses the joys of the writing process over the goal of publication. Some would insist this is elitist, to dismiss popular fiction while singing the praises of mining for that inner truth. Maybe. Her advice is more general and less about mechanics, but if you need someone to encourage you to get busy writing and quit fretting over how awful that first draft is, she just might be the voice you need to hear right now. Recommended. 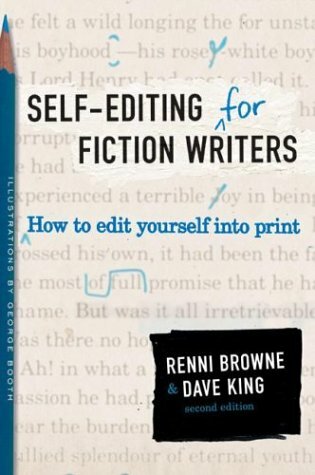 Renni Browne and Dave King co-wrote Self-Editing for Fiction Writers, How to Edit Yourself into Print. The book offers sound advice on strengthening basic elements of dialogue, narrative, and scene, as well as writing style and what to avoid. Keep a highlighter handy and don’t be discouraged. As with most good books on writing, a stiff upper lip is recommended. Browne and King draw from examples straight out of published works by famous writers and show you what went wrong where and how to improve it. An invaluable compendium for the serious writer. The characters engage us first and are remembered most. The plots of individual books are chapters in their lives. The pleasures of writer and reader are interwoven. The seasoned writer…confident in his craft, derives increasing pleasure from his work. The reader in the hands of a writer who has mastered his craft enjoys a richer experience. When a writer…understands the electricity of fresh simile and metaphor, his choice of words empowers our feelings, his language compels our attention… When Shakespeare speaks, when Lincoln orates, we are moved not by information but by the excellence of their diction. …The best of good writing will entice us into subjects and knowledge we would have declared were of no interest to us until we were seduced by the language they were dressed in. The Golden Book On Writing, David Lambuth. Very helpful. In Short, Louis I. Middleman. Pretty good. The Elements Of Style, William Strunk Jr. & E.B. White. Definitely for anyone interested in writing well, covers some common abuses of terms, tenses, and diction. Short Story Writing, Wilson R. Thornley. Helpful for understanding the basics to a solid short story. Secrets Of Successful Writing, Dewitt H. Scott. Not too helpful. Someday You'll Write, Elizabeth Yates. You could skip this and not suffer. How To Write Short Stories That Sell, by Louise Boggess. Slightly helpful but poorly done. How to be Successfully Published in Magazines, Linda Konner. Useful and practical. Includes interviews with both editors and freelancers. An eye-opener.